Hi, guys! I just finished my two-month Internal Medicine rotation; I didn’t realize eight weeks could fly so fast! I definitely acquired a lot of wisdom but still, there are so much more to learn. I’ve come to know how true what our mentors always tell us, that the art and science of medicine requires continuous reading and education. There’s no escaping the big books and journal articles! Most of the patients I have seen, out-patient basis or admitted, have either hypertension (high blood pressure), diabetes, hypercholesterolemia (having too much cholesterol in the blood) or were obese. For sure, you already know how having a balanced diet could prevent the complications of these conditions, if not totally prevent their occurrence. It is never too late to change what and how you eat! My friends and family know how often I eat. 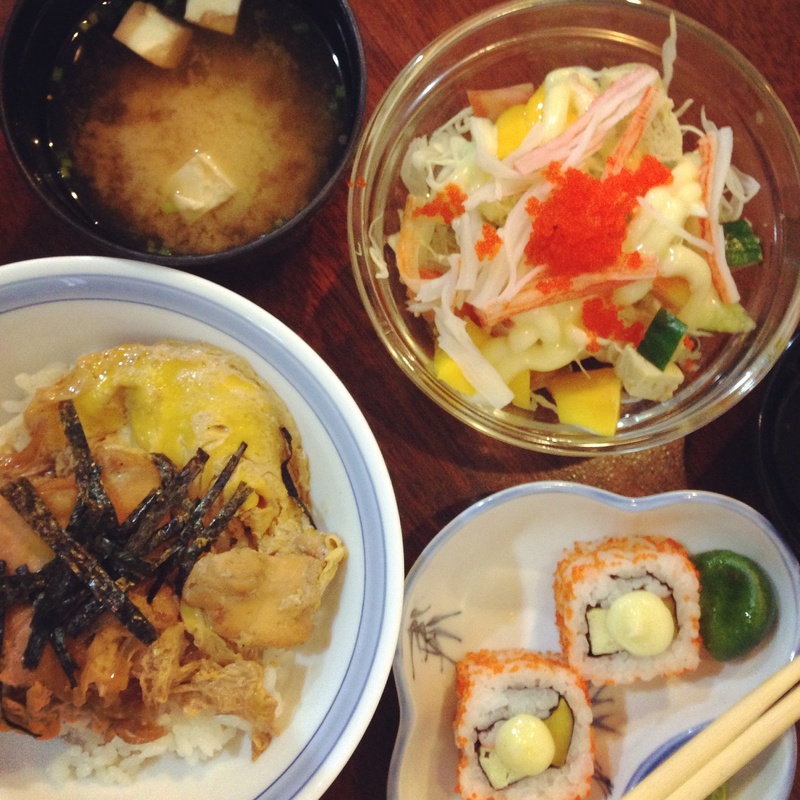 I really really do enjoy eating, most of the time even when I am not really hungry (huhu why, food). Anyway, I’ve been trying to do my best to avoid this bad habit of mine. I reach for water instead of the chocolate staring at me (cause it has always been the chocolate’s fault LOL). But, what you can do if you just can’t refrain from eating a snack is to buy healthy items from the supermarket. Or choose the healthiest snack when faced with different options. One of my friends is fond of bringing apples during our reviews for exams. It was a good trick since most people (like me!) tend to crave for food to stay awake while studying. 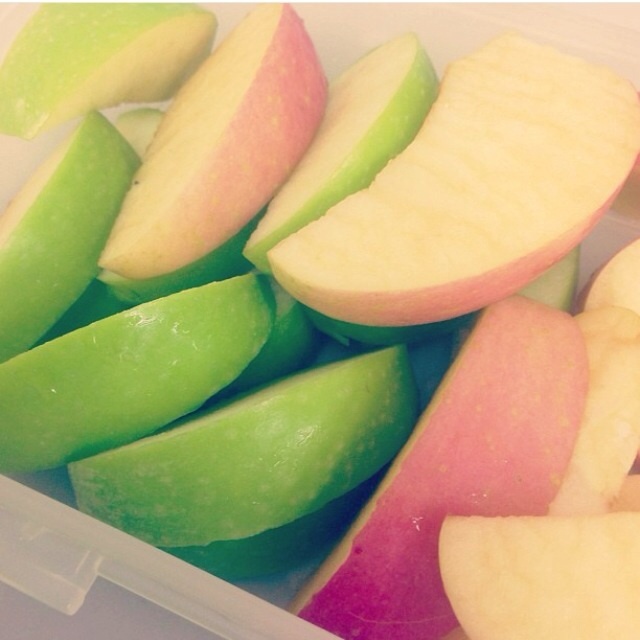 So, instead of chocolates, why not munch on fruits like apples? You can also make it more fun by mixing red and green ones, or different types of fruit. This one’s in the borderline between a snack and a full meal, actually. Haha. When making these omelette cups (or simply omelette), make sure to use more egg white than yolk to avoid the extra cholesterol. Again, choose wheat instead of the regular white bread. Of course, it’s called a snack for a reason that the portion is just enough to keep you full until your next meal. I used to eat rice with viand for snack and look where it got me! NEVER AGAIN. I am a fan of smooth and creamy coffee so I’m not the best person to tell you to completely avoid sugar and creamer. HAHA. Just use these in moderation! I try to limit my sugar intake but of course, sometimes I fail to account for the sugar already added to the food I eat, especially when they’re already prepared or packaged. You can also try to avoid drinking soda and juices. It’s a good thing that I had this bad experience with carbonated drinks when I was a kid (It felt like the soda was going to my nose instead of my esophagus haha), so I’ve never craved for it. It’s harder for me to avoid sweetened iced tea, though. So, I make sure I don’t have it inside my fridge. It helps to know your weakness! More tips on cutting down on sugar here. About alcohol… I bet you already know how empty the calories from beer are (zero nutrition, will just turn into fat). Be careful with flavored drinks (hello, sugar). So please, drink alcoholic beverage in moderation – not only to avoid the calories but to prevent intoxication. You can never go wrong with a salad. But wait, be careful with the dressing. It’s still best served on the side. I like vinaigrette more than the mayo-based dressing. However, sometimes it can be deceitful since it tastes better when added with brown sugar or other sweetener. When eating out with friends or family, it is very likely for us to order too much food and usually, we pick the ones on the menu that are packed with saturated fat, cholesterol, and poor carbohydrates (because they always taste better, right?!). 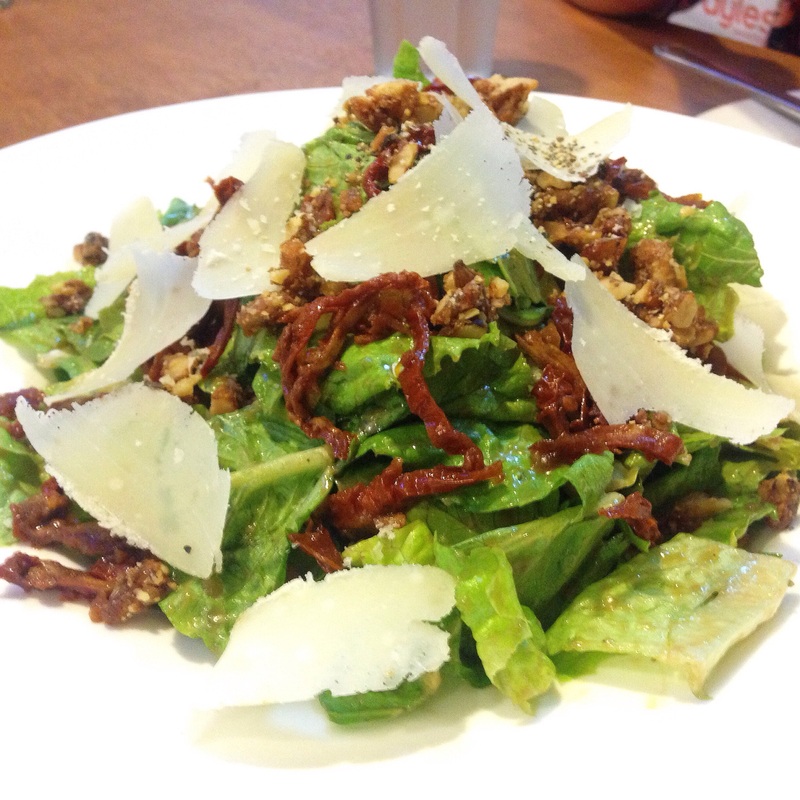 Instead of ditching your date with friends and totally miss out on the latest chismis about their lives, why not “lure” them to go somewhere you can order healthy food? 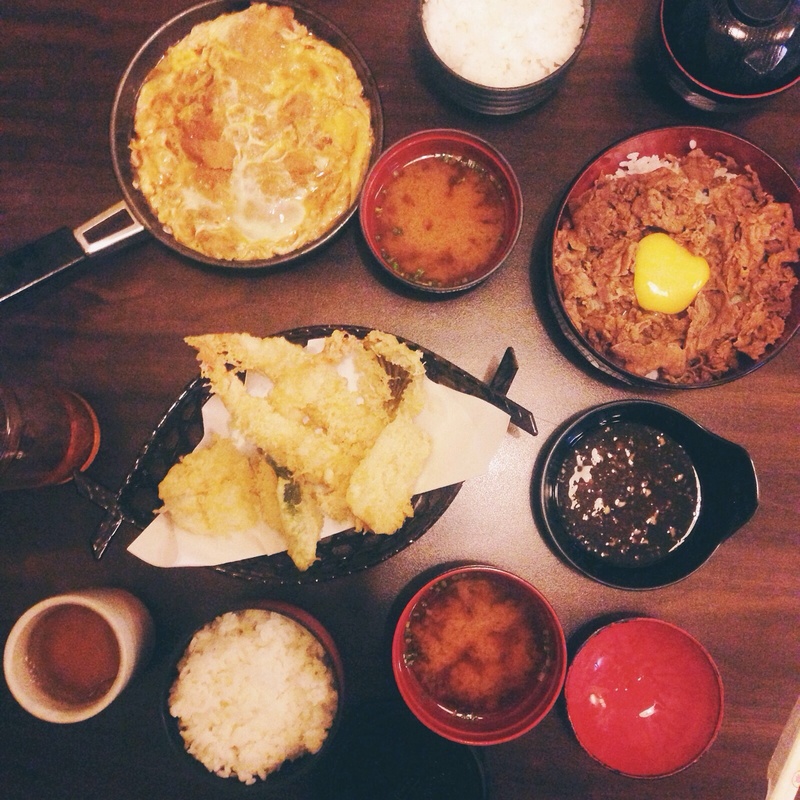 Japanese is always a good idea. Sometimes, my friends would tease me about always trying to eat healthy. I fail at times, you see, and most of the time they are the witnesses. Haha! But then, I know that deep down inside, they are also very much willing to try being a healthy eater. So, instead of being ashamed of it, you should be proud that you are being responsible for your own health, and at the same time also being a good influence on them. 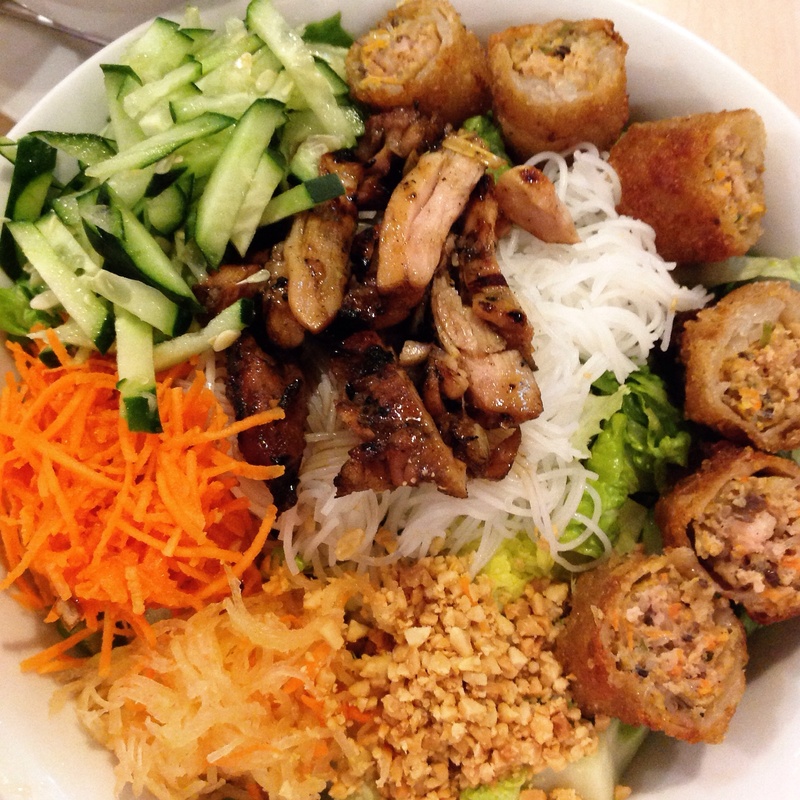 Who doesn’t love Pho Hoa? I ordered this at one of the stalls in Hole in the Wall. 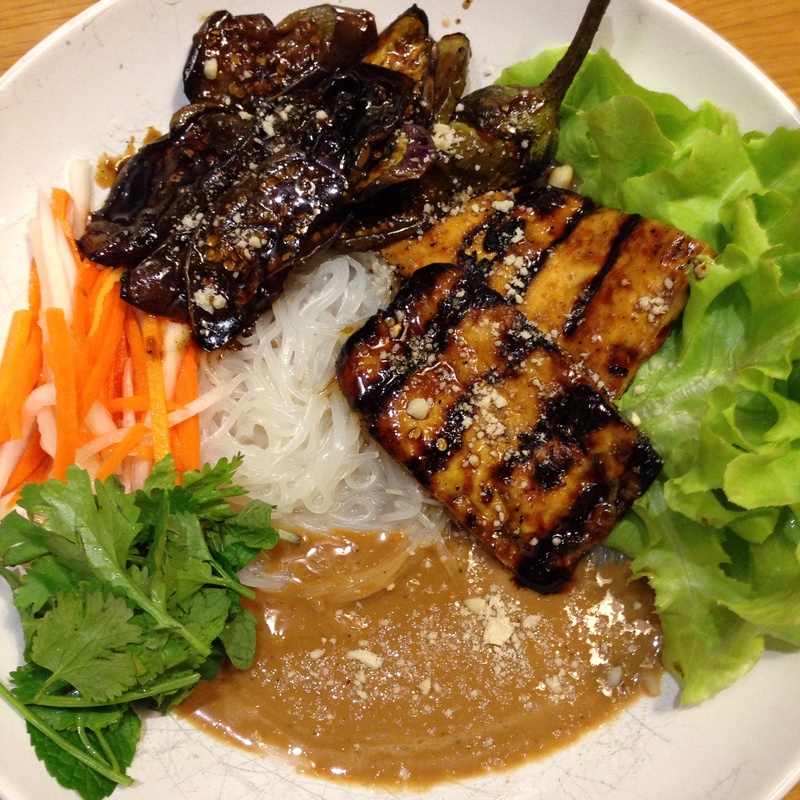 This one’s also Vietnamese — grilled tofu and eggplant, with rice noodles, lettuce, pickled carrots and radish, and peanut sauce. Yum! *Be careful with the serving of the peanut sauce, though. HAHA. EVERYTHING SEEMS SO COMPLICATED, RIGHT?! YOU’LL GET OVER IT! Now, let’s talk about dessert. 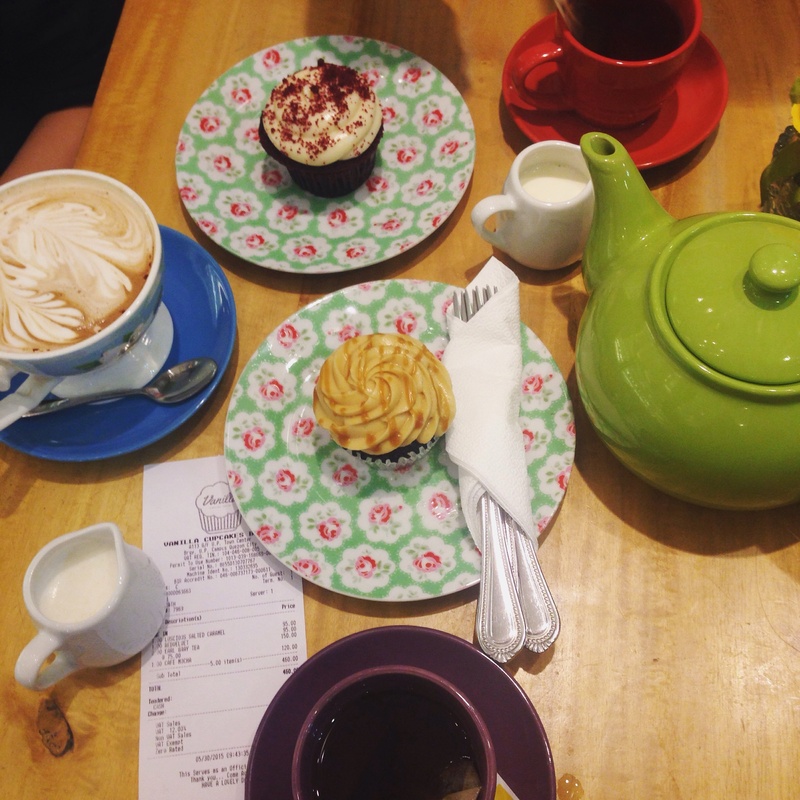 If you’re going to eat cake, make sure to have it with tea instead of the deadly milkshake or the sweetest coffee available (only if you think water is too boring). But you can always have a cheat day once in a while so it’s totally up to you (I just had cake and halo-halo after dinner with my friends, that’s why LOL). 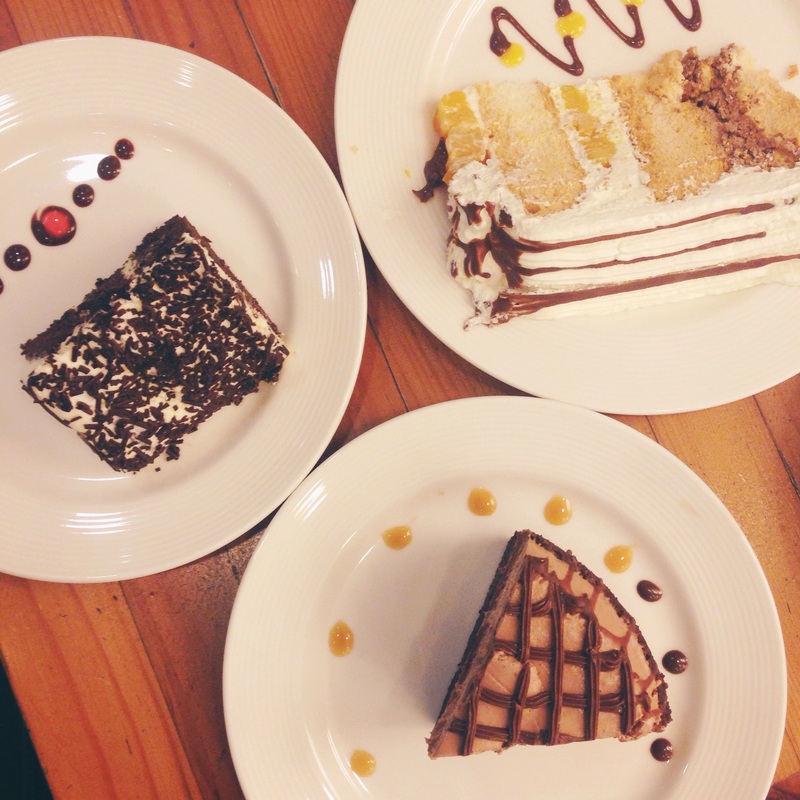 Also, if you’re a group of three, why not order just two slices of cake or two cupcakes to share? You’ll have a taste of different flavors for fewer calories. Two cupcakes for three people. 😉 Also, you can ask for non-fat milk or honey to add flavor to your tea. DON’T PUT TOO MUCH, THOUGH, THAT’S CHEATING! Also, you’re not required to finish everything. If you don’t like eating the cream, then don’t. Leave it on the plate. When eating out, again, you can just choose water to go with your meals. This can save you from the added sugar (and bill) from juices or soda. I’ve read an article about the power of this habit – intuitive eating. Sounds complicated, right? But actually, it’s just about eating when you’re hungry and stopping when you’re full. Instead of eating at a schedule, I try to listen to and feel for my body’s needs. 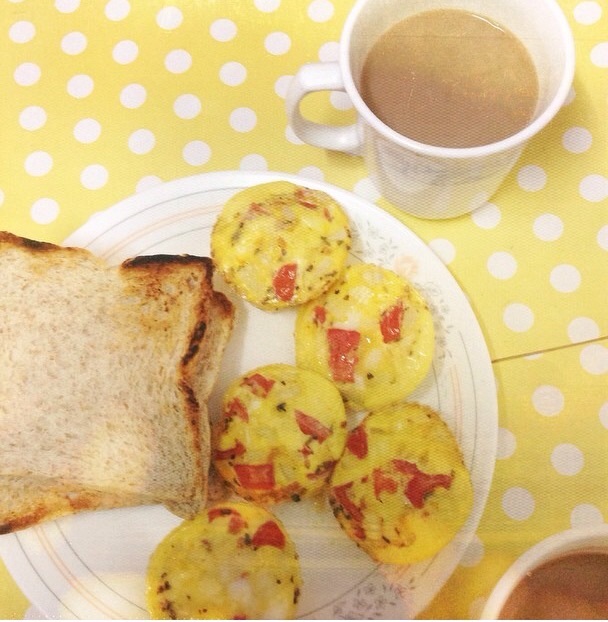 I usually feel the hunger 30 minutes after waking up, so I eat breakfast, and so on. When I read about this months ago, it actually made me realize that most of the time I would munch on something (as a habit), I was not really hungry but just in my usual element of gluttony. LOL. Honestly, there are times when I am still guilty of eating even when I am not hungry, or not stopping right away after feeling full. But then, I would say I’ve improved a bit when it comes to resisting the habit of mindless eating. There’s hope for me after all. Don’t lose hope, guys. Haha. I hope this guide has inspired you to start being a mindful eater, and somehow gave you more ideas on how to improve your eating habits and food choices. Just remember to CHEW your food (I have yet to master this technique haha), eat more fiber (fruits, vegetables, grains), avoid red meat, sugar, and saturated fat as much as you can, eat with the right amount and proportions, and never let food have the power over you! ALSO, creativity is the key. Being a healthy eater doesn’t mean eating less delicious food!